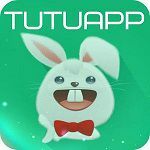 On this page, you’ll find links to download TutuApp Android apk file and ipa file for iOS devices such as iPhone or iPad etc. If you faced any problem in downloading please comment below and let us know about it. These links will constantly be updated, keep visiting to download the latest versions of the app. After clicking the link simply click green download button again and it will save the application file on your device. To install TutuApp on iPhone you need to give trust permission to your iPhone. Complete details and process are given on TutuApp homepage. Enjoy the App!